Inkberry Creative Blog - Graphic Design, Pretty Paper Goods and More! – Tagged "children's stationery" – Inkberry Creative, Inc. Thank you Greetings etc. for featuring our Pretty in Paisley invitation! A lovely surprise to see our Pretty in Paisley invitation included in Greetings etc. Magazine's "The Power of Paisley" Trend Alert online feature yesterday! Thanks so much Greetings etc.! 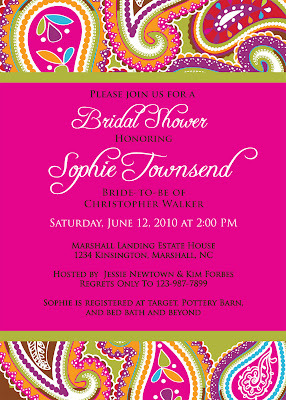 This invitation is one of our favorites and we heart paisley too! Click here to read more on the Greetings etc. website.